It’s hard to think of a buzzword that’s as widely used yet so misunderstood as “the cloud”. Most people use the cloud on a daily basis without even realizing it, but if you were to ask five different people what “the cloud” is, you’d get 10 different answers. As the web continues to embrace cloud technology, it’s more important than ever to understand what it really is. The cloud offers a lot of benefits that we should take advantage of, but also comes with a number of risks. Here are the most common misconceptions you may have. When someone says “My data is on the cloud,” we tend to interpret it as “My data is on the internet” — and while this is figuratively true, the two aren’t synonymous. 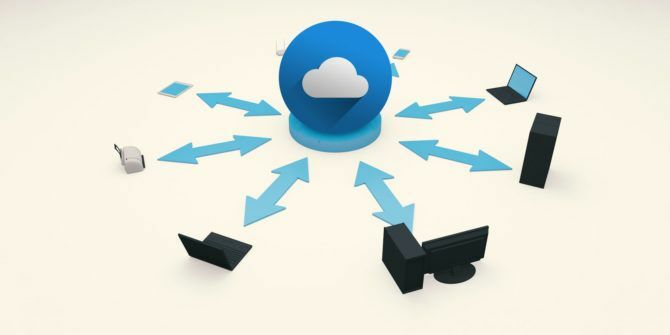 Simply put, a cloud is a network of remote servers that are only accessible using the internet. Unlike the internet, which is one giant global network of connections, there are hundreds of thousands of clouds around the world. These clouds are usually (mistakenly) treated as a singular entity, so when we say something is “on the cloud,” we really mean “on a cloud”. Note that there can be public clouds and private clouds. A public cloud is something like Dropbox: a service that’s accessible by anyone from anywhere as long as you create an account. A private cloud is more like a set of enterprise servers that are dedicated to a specific company. Most clouds (i.e. remote server networks) use virtualization to make cloud management easier and more secure, but the cloud and virtualization are two different things. For example, imagine a server hosting service with a cloud comprised of 10 physical servers. Instead of only having 10 units available to rent out, they could use virtualization to split each server into five virtual servers, resulting in 50 units available to rent out. And because each virtual server is a separate environment, they can’t interfere with each other, increasing security. This is such a common technique that a lot of knowledgeable folks assume that all clouds are virtualized, but they don’t have to be. Learn more about the difference between virtualization and the cloud. “The cloud” and “cloud storage” is another example of terminology confusion. Cloud storage is nothing more than a set of remote servers that are primarily used to store data. Think Dropbox, Google Drive, OneDrive, etc Dropbox vs. Google Drive vs. OneDrive: Which Cloud Storage Is Best for You? Dropbox vs. Google Drive vs. OneDrive: Which Cloud Storage Is Best for You? Have you changed the way you think about cloud storage? The popular options of Dropbox, Google Drive, and OneDrive have been joined by others. We help you answer which cloud storage service should you use. Read More . You upload files “to the internet” and you can download them on demand later. Most people think this is all that the cloud has to offer. But there are also cloud services. Think of Google Docs: your files are stored on Google’s cloud and you can edit them without having to first download them. All of the processing happens on Google’s servers — your web browser is just a window to the action. This is called cloud computing. Other examples of cloud services include Gmail, Facebook, Slack, and YouTube. Nothing happens on your computer; it all happens on their servers. Concerns over cloud security are reasonable. After all, if a hacker is hoping to steal data, it makes more sense to break into iCloud or Dropbox and steal lots of data instead of breaking into your lonesome computer. In other words, the cloud is at greater risk of being attacked. That doesn’t mean the cloud is insecure. Many cloud services employ top-notch security experts who work day and night to shield their servers and constantly improve their security measures. In many ways, cloud servers are better protected than your computer will ever be. Then again, cloud security is also your responsibility. If something does go wrong with Google’s servers, for example, you might lose all of your cloud data — so it behooves you to keep your own data backups. You should also keep your cloud files encrypted. That way, if a hacker does break in and run off with it, they still won’t be able to access it. The cloud revolution has been a double-edged sword. On one hand, because all of the storage and processing happens on their servers, one-time fees have been replaced by subscriptions. And while most cloud services offer free plans, these free plans are often limited. On the surface, cloud services may seem more expensive. For example, Netflix charges a recurring $10 per month for its standard plan, which amounts to $120 per year. Feels pricey, right? Until you consider that Blu-ray films cost $20 each on average. The subscription model is annoying, but it can prove cheaper in the long run. And that’s one reason why we prefer Office 365 over Office 2016. Whereas Office 365 costs $70 per year, the equivalent version of Office 2016 costs $400. By the time Office 365’s cost “catches up” to Office 2016, you’ll likely have to shell out more cash for Office 2020, and the cycle continues. It seems like everything is moving to the cloud. Hotmail and Gmail pioneered cloud-based email for the masses. Evernote popularized notebooks on the cloud. 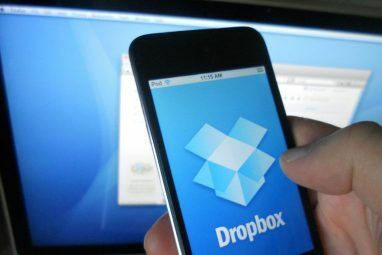 Dropbox made cloud storage accessible for all. We now have cloud-based to-do lists (ToDoist), task managers (Trello), budgets (Mint), presentations (Prezi), programming IDEs (Cloud9), etc. But just because you can doesn’t mean you should. I’m a huge fan of the Chromebook, but one of its biggest drawbacks is that Chromebook apps are cloud-based. 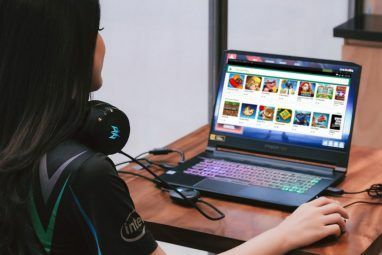 Most of them require an internet connection to use, and even the ones that can be used offline still have speed and performance issues that are usually absent from pure desktop apps. Even the “good” uses for the cloud aren’t always the best choice. For example, cloud storage is fantastic in a lot of ways, but you may be better off using network-attached storage (NAS) instead NAS vs the Cloud: Which Remote Storage Is Right for You? NAS vs the Cloud: Which Remote Storage Is Right for You? Network Attached Storage (NAS) straddles the line between a local hard drive and cloud storage, and gives you the benefits of both. 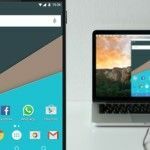 Read More , which is kind of like a personal cloud that can only be accessed by devices on the same network. There are still plenty of people who think the cloud is a gimmick that will soon pass away. They somehow don’t see that cloud technology has exploded in prevalence over the last decade and has influenced nearly every aspect of the web. Not only that, but cloud computing actually has roots that go as far back as the 1950s. That is to say, the cloud ain’t going nowhere. Numerous industries are currently transitioning to the cloud, and those industries that have already embraced the cloud will further refine their services in the coming years. The cloud hasn’t even begun to peak, and when it does, you’ll know. And if you want to capitalize on this, we’ve covered several cloud computing skills These 9 Cloud Computing Skills Could Give You The Next Career Jump These 9 Cloud Computing Skills Could Give You The Next Career Jump Businesses are moving to the cloud. The huge skills gap could be your opportunity to fast track your career with the essential qualifications. Start with any of these in-demand critical skills. Read More that you can learn to kickstart your next career. Hopefully you now feel more confident in what you know of the cloud. If you have any questions, feel free to ask below. And if there are any myths we missed, share them with us! Explore more about: Cloud Computing, Cloud Storage, Debunking Myths, Virtualization.